Join one of the Fandom Engineering teams! Are you a 3rd or 5th year student or graduate (Computer Science or equivalent)? Are you passionate about technology and pop culture?! 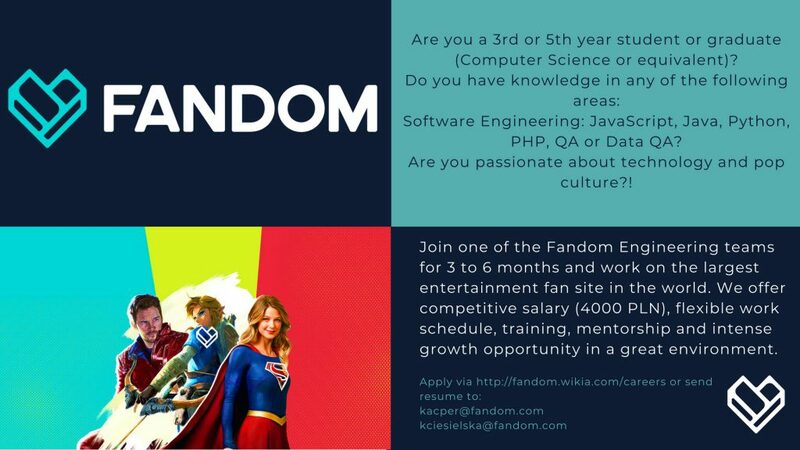 Join one of the Fandom Engineering teams for 3 to 6 months and work on the largest entertainment fan site in the world. We offer competitive salary (4000 PLN), flexible work schedule, training, mentorship and intense growth opportunity in a great environment.